© Zarina; Courtesy of the artist and Luhring Augustine, New York. On view Monday-Friday, 11 a.m. – 6 p.m.
To arrange for a class or group visit to the gallery, please email apa.rsvp@nyu.edu with your preferred visit dates and times, and the size of your group. 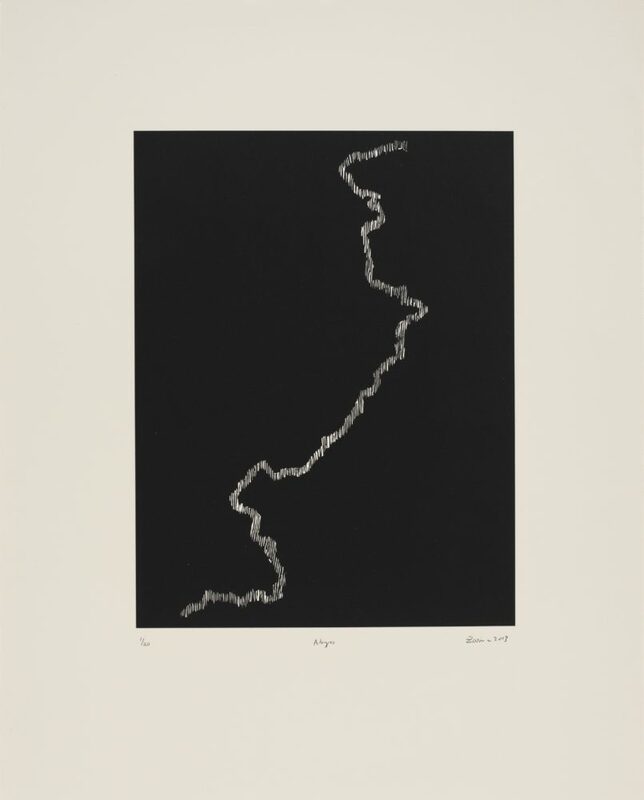 Zarina: Dark Roads presents selected works of prints and sculpture across the expanse of three decades by artist Zarina Hashmi, the 2017-18 Artist-in-Residence at the A/P/A Institute at NYU. Zarina: Dark Roads is organized into four sections beginning with “Dividing Line,” which delves into the topics of displacement and devastation caused by Partition, and violence in other international cities—including New York and Aligarh, India— that the artist has called home. The exhibition continues with the sections “Abyss: Into the Darkness” and “The Year of Sinking Boats.” The pieces in these sections focus on contemporary conflicts and refugee crises, including the war in Syria, the persecution of the Rohingya people, and the bombing of Gaza. In the final section, “No Place to Land,” the artist reflects on shifting ideas of home in a world of forced migration, global mobilities, and targeted migrant communities. Zarina’s work asks us to consider the possibility of a global ethics in a time of interconnectedness through media, knowledge circulation, and war. Zarina: Dark Roads is co-curated by Zarina and Alexandra Chang, A/P/A Institute at NYU Director of Global Arts Programs. [i] From an interview with Zarina Hashmi by Asma Naeem for the Asian Diasporic Visual Cultures and the Americas, Fall 2017, Vol. 2, Issue 3. Leiden: Brill. © Zarina; Courtesy of the artist and Gallery Espace, New Delhi. Zarina was born in Aligarh, India in 1937 and currently lives and works in New York. 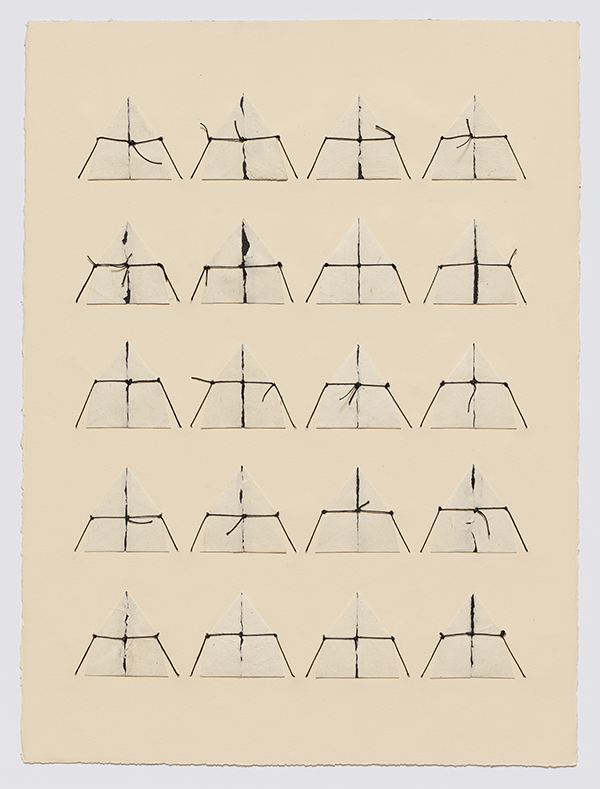 Her work is defined by her adherence to the personal and the essential. While it tends towards minimalism, its starkness is tempered by both texture and materiality. Her art poignantly chronicles her life, and recurring themes include home, displacement, borders, journey, and memory. Best known as a printmaker, Zarina prefers to carve instead of draw the line, to gouge the surface rather than build it up. She has used various mediums of printmaking including intaglio, woodblocks, lithography, and silkscreen, and she frequently creates series of several prints in order to reference a multiplicity of locales or concepts. 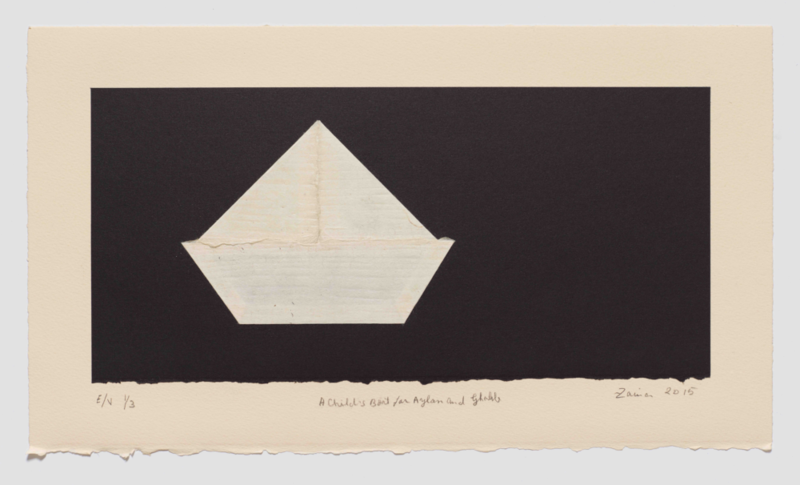 She has long been interested in the material possibilities of paper and in addition to printing on it, she has created works which entail puncturing, scratching, weaving, and sewing on paper. Zarina also creates sculpture using a variety of media such as bronze, aluminum, steel, wood, tin, and paper pulp. Zarina has exhibited at numerous venues internationally including representing India at the 2011 Venice Biennale. Her retrospective exhibition entitled Zarina: Paper Like Skin was presented at the Hammer Museum in 2012, and at the Guggenheim Museum and the Art Institute of Chicago in 2013. Her work is in the permanent collections of the Tate Modern, Hammer Museum, San Francisco Museum of Modern Art, Whitney Museum of American Art, Solomon R. Guggenheim Museum, Metropolitan Museum of Art, Museum of Modern Art, and Menil Collection. Zarina is the 2017-18 A/P/A Institute at NYU Artist-in-Residence. Thursday, October 5, 6:30 – 8:30 p.m.
Wednesday, November 1, 6:00 – 8:00 p.m.